Ethapazham is a favourite fruit among all fruits for every Malayali. 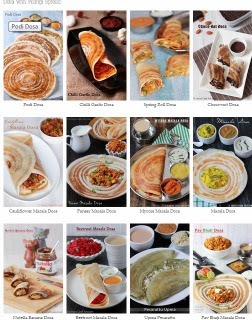 So using Ethakka or pazham even peel so many recipes are there. 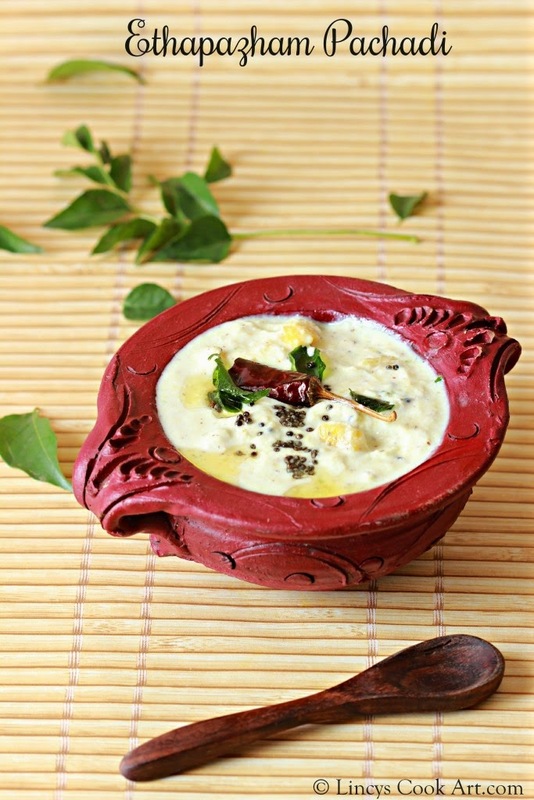 This pachadi too is a yummy pachadi with the perfect balance of taste and flavours. The mild sweetness from the banana is balanced with the usage of green chillies in this recipe. You wont feel that you are eating ripe banana dish while consuming this dish. So tasty bananas with the coconut and yogurt sauce. Other than Malayalis too love this dish I am sure. So please try this dish and let me know. Slit the banana from top to deep down and chop them in to small pieces. In a pan add the chopped banana pieces, 2 slit green chillies (add red chilli powder if you wish to add), salt and half a cup of water and cook till soft. Slightly mash the bananas with the back side of a ladle or spoon. Grind coconut, green chillies and mustard seeds as a fine paste. Add this ground paste on the banana mixture and cook just for a minute and switch off the gas. Do not cook more the whole lot turns bitter. Immediately pour the beaten curd and mix well. Heat oil in a pan and splutter the mustard seeds; then add the dried red chillies and curry leaves fry in that oil for fifteen seconds and pour on top of the pachadi. Notes: You can add red chilli powder half a teaspoon while cooking the bananas to get little different taste and colour. Wish i get this nendra pazham here to give a try to this pachadi. Wow.. Looks too delish dear.. Just love your presentation dear..